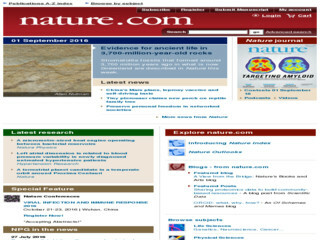 Nature is the internationally most cited weekly journal of science with over 3, 90,000 Citations, an increase of almost 18,000 on last year’s count, a magazine style journal that publishes full-length research papers in all disciplines of science. Its Impact Factor is 31.434. Nature also provides rapid, authoritative, insightful and arresting news and interpretation of topical and coming trends affecting science, scientists and the wider public.